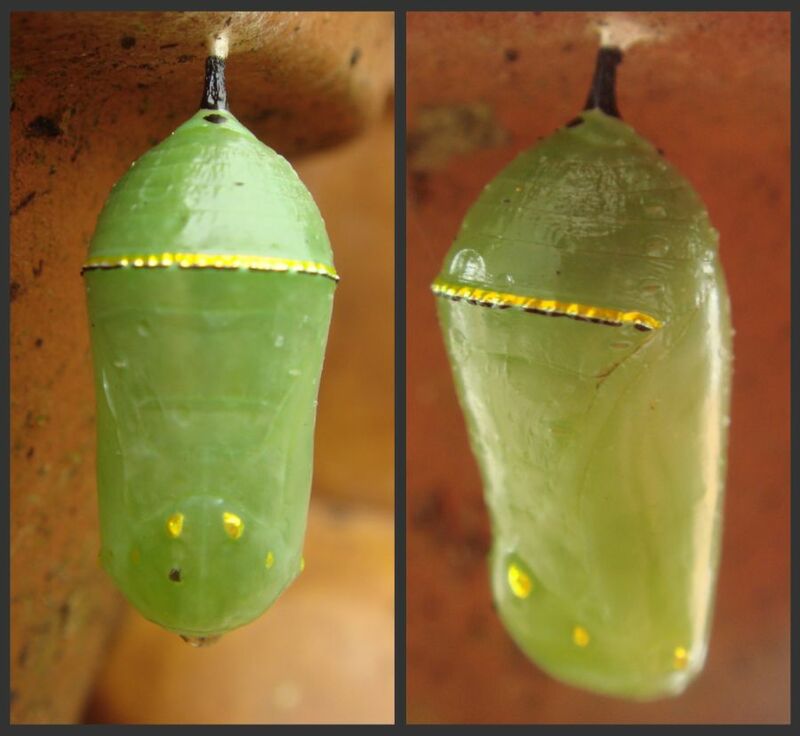 Today Caterpillar 3 after being jammed into a cosy little Chryalis has completed the metamophris into becoming a butterfly. It took only about 90 seconds for "her" to get out. Her? Yep its a her as you can tell the gender by the bottom wings as the males will have a large black spot in the middle and the females wont. 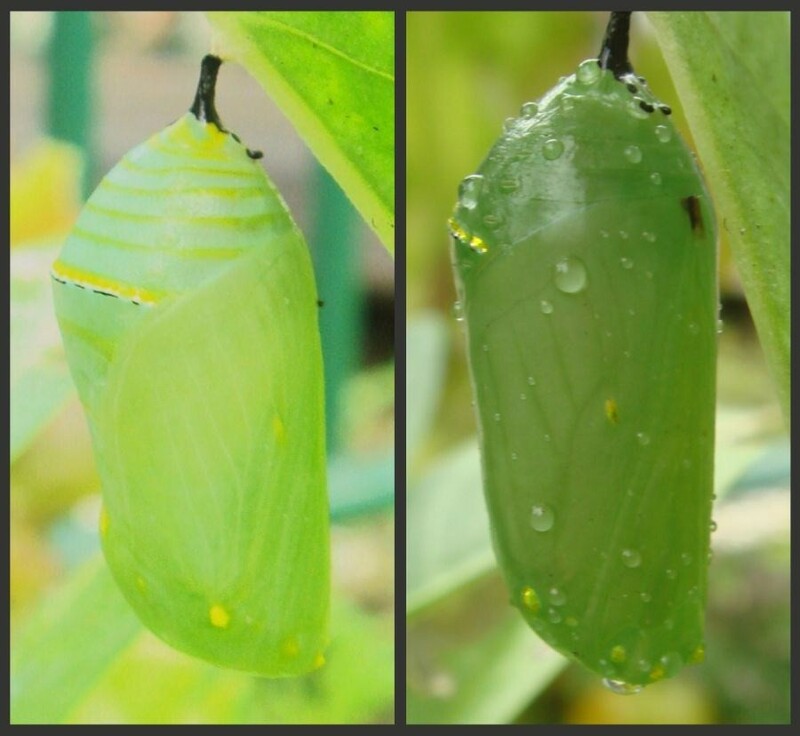 When she came out her body was puffed up and her wings were all crumpled this is because when a butterfly first comes outside its Chryalis they there bodies are filled with fluid which they then pump into there wings and sort of inflate them. At first she was very wobbly attempting to fly but soon caught the hang of it. After a while we come up for a name for her, Flutterella! P.S. 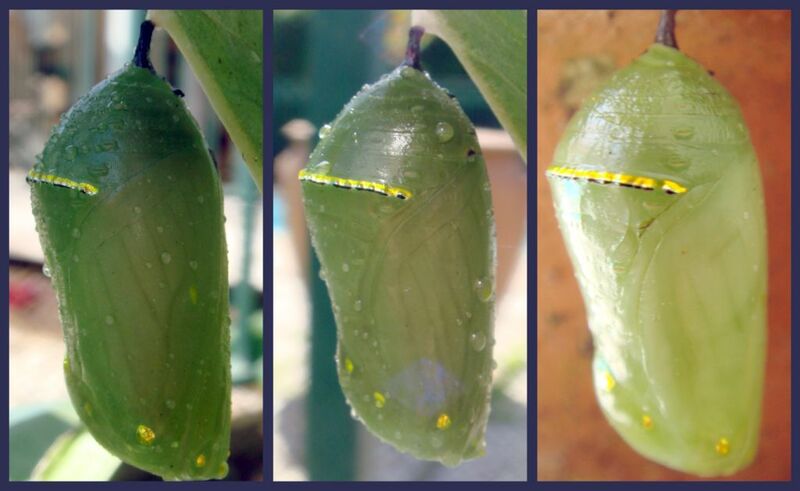 Im not coming online to blog about my Caterpillars for a while as theres not really much more to a Caterpillar/Butterflys life than whats you have so far witnessed. Bad News: On the three unplanted Swan Plants there was only one Caterpillar left and a praying mantis DUN DUN DUNNNNNNNN!!!! But it thankfull left the Caterpillars on the planted swan plant. Today we have been visited by two praying mantis's on our Swan plants, but there seems to be some Caterpillars missing... Could these praying mantis's be the problem? Truth is that praying mantis's eat Caterpillars GASP ! HORROR! SHOCK! Weve moved the praying mantis's as far away from the swan plants as possiable and we are hoping to find some way that we can bring the already formed caterpillars inside while butterlfys lay more eggs. Below shows the pictures of the praying mantis's. 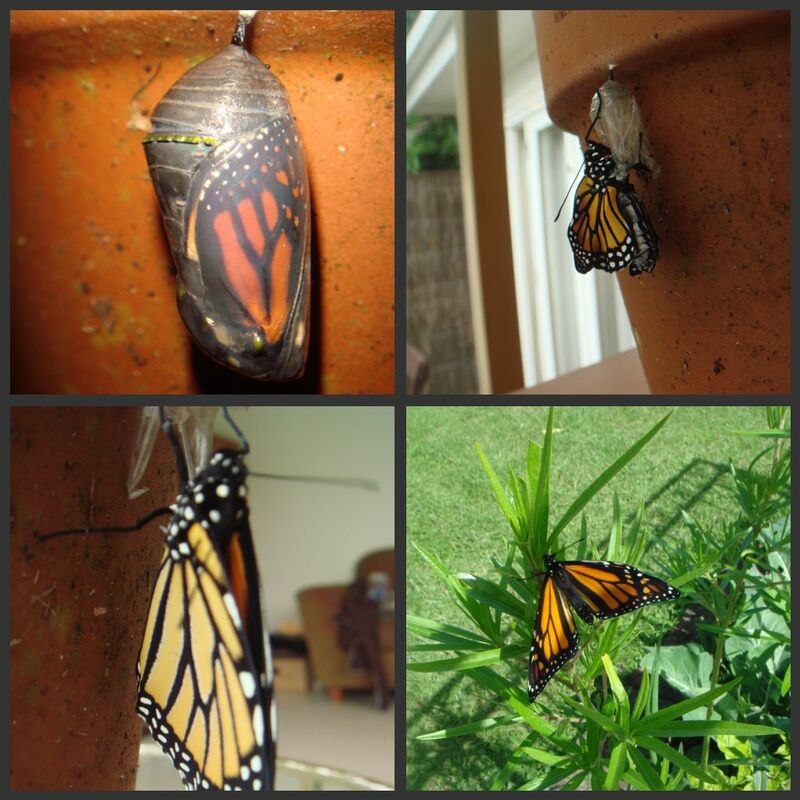 We've been having a whole bunch of Monarch butterflys coming to lay there eggs on our swan plants, as seen in the above video (note this butterfly isnt ours just a visitor). 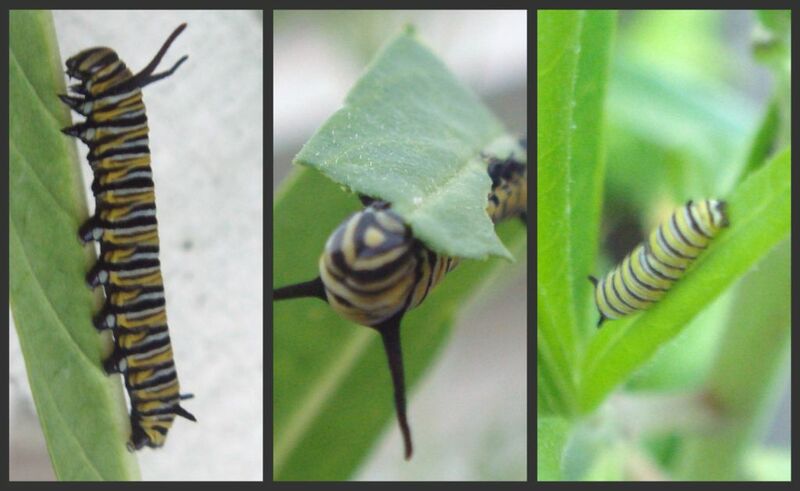 Below shows some of the new caterpillars muching away and one of the butterflys which has today layed some eggs on our plants as well and drinking the nector form the flowers. More to some watch this space. Jeesh will these things ever hatch? There currently much darker then when they started and should hatch soon if... they hang on to the leaves there situated on during all this windy and rainy weatehr where expirencing in Auckland. More to come watch this space. 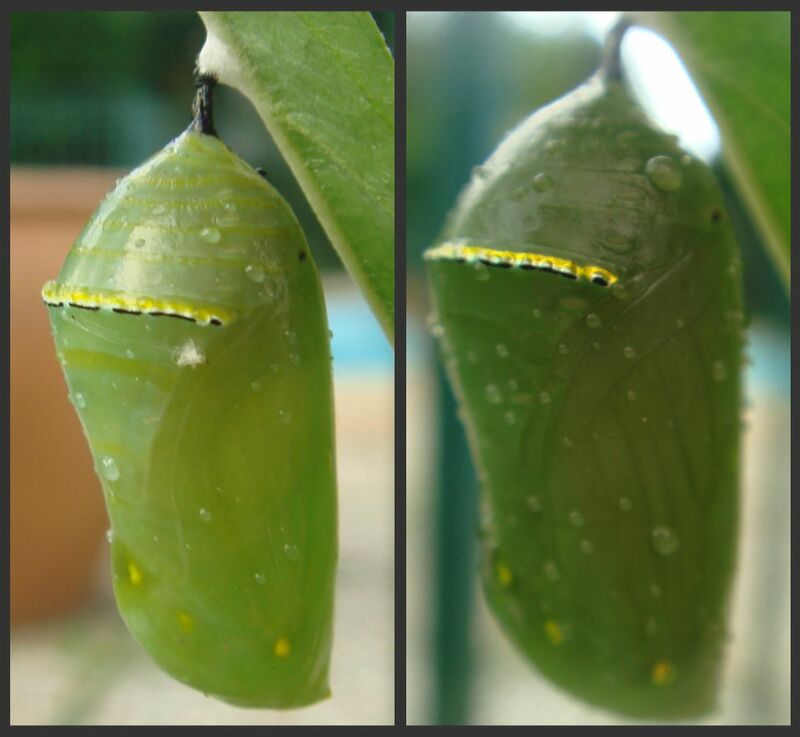 After checking this morning the Chryalis's are still green but everso darker than yesterday. After a few more days they should hatch into butterflys and start laying eggs on the three new swan plants which we have recently purcased.